New York University Press, 9780814763476, 288pp. A comparative history of cross-cultural encounters and the critical role of cannibalism in the early modern period. Cannibalism, for medieval and early modern Europeans, was synonymous with savagery. Humans who ate other humans, they believed, were little better than animals. The European colonizers who encountered Native Americans described them as cannibals as a matter of course, and they wrote extensively about the lurid cannibal rituals they claim to have witnessed. 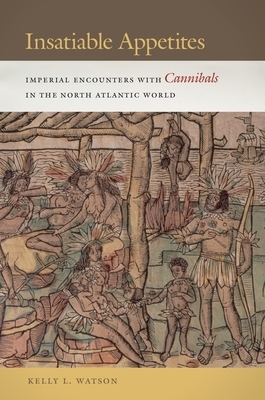 In this definitive analysis, Kelly L. Watson argues that the persistent rumors of cannibalism surrounding Native Americans served a specific and practical purpose for European settlers. These colonizers had to forge new identities for themselves in the Americas and find ways to not only subdue but also co-exist with native peoples. They established hierarchical categories of European superiority and Indian inferiority upon which imperial power in the Americas was predicated. In her close read of letters, travel accounts, artistic renderings, and other descriptions of cannibals and cannibalism, Watson focuses on how gender, race, and imperial power intersect within the figure of the cannibal. Watson reads cannibalism as a part of a dominant European binary in which civilization is rendered as male and savagery is seen as female, and she argues that as Europeans came to dominate the New World, they continually rewrote the cannibal narrative to allow for a story in which the savage, effeminate, cannibalistic natives were overwhelmed by the force of virile European masculinity. Original and historically grounded, Insatiable Appetites uses the discourse of cannibalism to uncover the ways in which difference is understood in the West. Kelly L. Watson is Assistant Professor of History and a member of the faculty in Women's and Gender Studies at Avila University in Kansas City.